Born and brought up in Bombay, Ishwarya has questioned the mediocre Bombay life which is otherwise celebrated as the “Spirit of Bombay” – questioning fundamentals is her strength. She started volunteering early on which eventually grew further and is now not just a passion but a strong urge to create change. After starting off her career at JP Morgan, she has finally made the switch to the social sector. Ishwarya works with GiveIndia and manages the relationship with multiple NGOs across India. 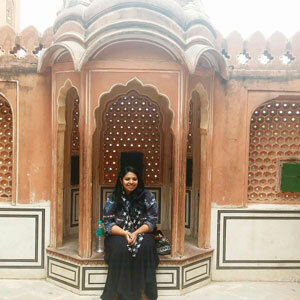 The role opened up a whole new sphere – extensive traveling, interacting with multiple communities and strong NGO leaders gave her a sense of grassroots reality; a reality that strengthened her purpose. She believes empathy is a powerful tool and wishes to create a space like John Lennon describes in his song, Imagine. Ishwarya has completed her Bachelor’s in Banking and Insurance from the University of Mumbai and has been a Community Service Director for the Rotaract wing. She has been part of the organizing team to execute for the biggest stationery distribution drive in India beating its own record every year in the Limca Book of records.